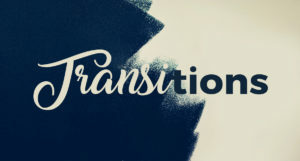 Minister transitions are difficult, especially when it involves the Senior Minister or Preaching Minister. These transitions can result in congregational discord bordering on mutiny, or they can be managed and survived. No two situations are the same. Sometimes the minister certainly deserves to be fired. He has gotten lazy, staff morale is abysmal, and the numbers are plummeting. At other times the elders are insensitive, power hungry or heartless. And then sometimes it is just time for a change. When the preacher decides this, no one bats an eye. When the leaders decide the same, hurt feelings abound. The difference is the preacher is the one bearing the brunt of the decision. Deep down the minister may agree it was time to move on, but it still hurts. These following steps can prove helpful in navigating a transition. But do remember that you can do everything right and frankly things can still blow up in your face. I am thinking of a wife and child of a fired employee who took to Social Media to announce their displeasure. The leaders treated the employee fairly, but the family members disagreed. What do you expect your minister to do? Is this clearly established? I can quickly say that I know what I have to do well and what is optional. My expectations of myself closely align with the expectations of my leaders. I usually know when I am dropping the ball. They don’t have to tell me. Most years if I were doing my review, I would be harsher than they are. Which takes us to number two. Be honest and clear in your appraisal. Don’t make your minister read between the lines. A yearly review is important. We preachers hate them, or at least we get as nervous as anybody else does at review time. But what we hate even more is being blindsided. Be honest and clear in your appraisal. Don’t make your minister read between the lines. You can tell the truth without being cruel. You can also run from the truth because you don’t want to hurt feelings either. So you rock along until things become unbearable, and then disaster looms. If your minister is shocked when he or she is let go, it should only be because they refused to listen to hints, subtle or otherwise. It is a remarkable phenomenon that I can listen to a friend describe a situation and know the axe is about to fall while my friend continues to live in the land of denial. But still, you have to let them know that things need to change. As a young preacher, I appreciated the one elder friend who promised me, “I will never let you be surprised.” He never had to, but I was so thankful for the offer. The decision has been made to “go in a different direction.” If you allow your minister to continue to work while searching, it could be helpful. Then when the time comes to announce the resignation, the minister can maintain some level of dignity. I know of a church that offered their preacher seven months to search, and gave him the option of continuing to preach. He took the work option which helped him in his search. Of course, your situation may be toxic and an immediate departure is best. It is difficult to land a preaching job. Gone are the days of finding a new ministry position and moving in 90 days. Assuming your preacher is marketable, it will still take six months to find a comparable job. You will not regret being generous with a severance package. A minimum of three month’s severance is standard, even for those who are guilty of moral failure. They still have a family after all. (One church made the payments to the wife.) For a minister who has been at the church for several years, six to nine months’ severance is standard. Assuming your preacher is marketable, it will still take six months to find a comparable job. You will not regret being generous with a severance package. You have been caught in a moral failure. The brethren can love you, forgive you, send you to therapy even, but you have to go. You have lost what you need to lead at that place. There can be another church that you may serve well. But you can’t keep your current job. It sounds so harsh, but it is true. Don’t be obstinate and play the victim. Don’t try to hang on at all costs or blame the leaders for being unsympathetic to your plight. You have messed up royally, but you still have the power to make the transition less painful for the church. You have lost your zeal. You dread most Sundays and meetings are even worse. Or you have lost the confidence of your leaders. Perhaps it is your fault, maybe it is theirs, but the result is you no longer enjoy mutual trust. They question your motives, and honestly you are just as suspicious of them. You have passed a point of no return, and the working relationship cannot be salvaged. So take action. Don’t wait for things to get worse or get ugly. Do something now, and the inevitable transition can go more smoothly. Either you or your leaders have decided it is time for a change. You possess more power than anyone to assure that the transition goes well. You now have the chance to prove whether your preaching was true or trite. Will you choose to take the high road? Will you refuse to blame? Will you be gracious and lay the groundwork for the one who will follow you? Or will you do as much damage as you can on the way out? Reading these words on the page, it if obvious. But it is much more difficult when you are living through it. You are 65. The elders assume (and hope) you will retire at 67 while you think you are “owed” a job until 72. You will never resolve this unless you talk. Bob Russell in his book on minister transitions highly recommends that the preacher is the one to initiate this conversation. Every minister in the 60-65 age range needs to read up on this topic and initiate the conversation. I know of one well loved minister at a large congregation who did just this, and he now has a ten-year plan as he heads toward retirement. He has security, and the church knows the transition will almost certainly go smoothly.